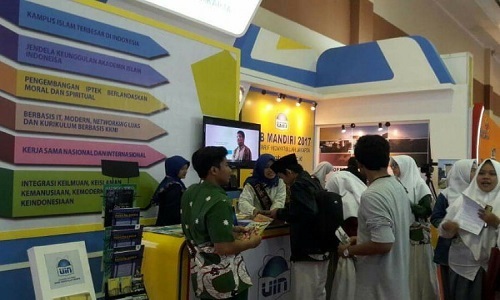 Diorama Rom, UIN NEWS Online – Hundreds of students from various departments and faculty at UIN Jakarta gathered in Diorama Room, Thursday (12/7/2017). Facilitated by the Center of Community Service (PPM) of UIN Jakarta, they are invited to recognize the benefits of government social programs in the form of employment guarantee which is managed by the Social Security Administering Agency (BPJS) Ketenagakerjaan. This program of introduction of labor social security targeting to the students is a series of 40th anniversary activities of BPJS Ketenagakerjaan which falls on December 5, 2017. 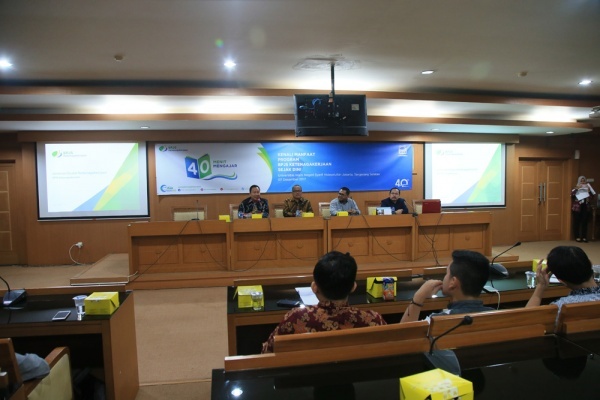 The activity is packed in the form of a 40-minute lecture with the theme “Kenali Manfaat Program BPJS Ketenagakerjaan Sejak Dini” which is held all over Indonesia. 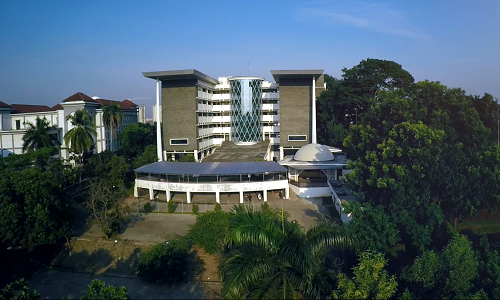 Introduction of BPJS Ketenagakerjaan to students, according to Vice Rector for Cooperation Prof Dr Murodi, is considered important. Therefore, the program is one form of central government services to citizens to provide social security in the field of employment nationally. “Although still a student, recognizing the government’s social program is nothing wrong. You must know early on,” he said while giving a speech. He said students would sooner or later work in various sectors, both formal and informal. Therefore recognize the social security program well to understand the mechanism and technical operations. Head of Asset Management and Public Service Division of BPJS Ketenagakerjaan Marsaid who delivered a public lecture says BPJS Ketenagakerjaan, (formerly PT Jamsotek Persero, Red) is a government agency that is trusted to handle social security issues in the field of employment and health (Healthcare Insurance). The development of these two social security programs is based on funded social security, ie social security funded by pesera and still limited to the formal sector workers. BPJS Ketenagakkerjaan, according to him, has at least four programs, namely Old Age Guarantee Program (JHT), Work Accident Insurance Program (JKK), Death Insurance Program (JK), and Pension Plan Program (JP). “We hope through the introduction of this BPJS Ketenagakerjaan the students can use it when entering the labor market later,” he said.